This weeks Photo Wednesday was taken at Seoul Zoo (more details on the location and more here). 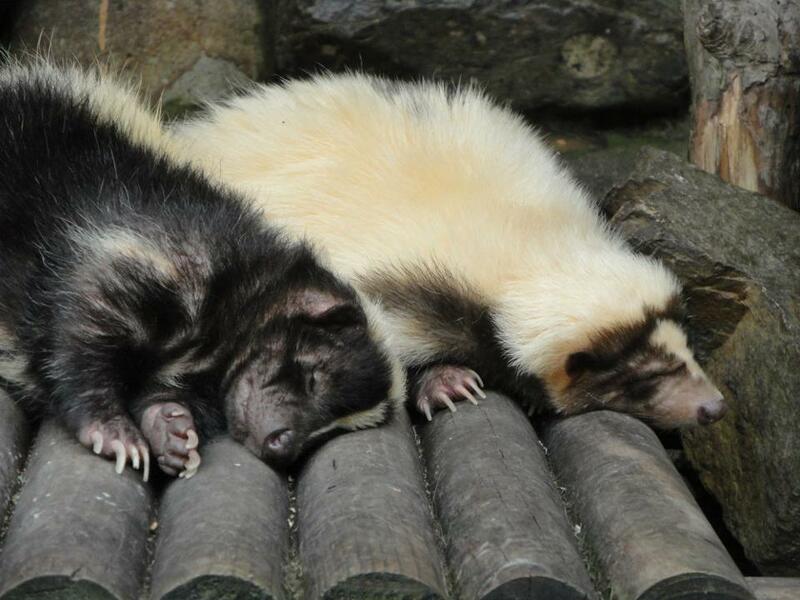 This photo is of a pair of sleeping Skunks resting inside of there enclosure, out of the hot sunny weather. Although they do have a bit of a stinky reputation this photo at least makes them look a little more cute and fluffy. Last weeks Photo Wednesday – “Traditional Korean Farm House in Jeju” CLICK HERE.